The upper of the Salomon Evasion 2 Aero is made using a combination of lightweight, breathable, abrasion resistant materials that allow for maximum breathability and comfort. 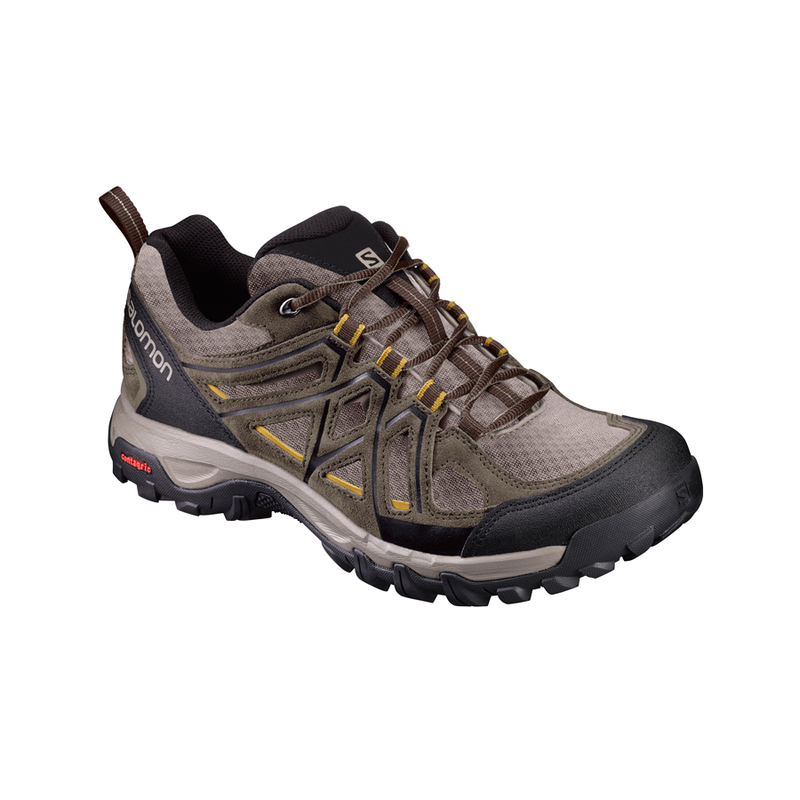 Includes split suede leather detailing and an open mesh style to keep your feet cool through a whole day's hike. With a protective heel cap that provides rearfoot stability and protection and a mud guard around the base of the shoe, you can guarantee the finest foot comfort. An injected EVA midsole adds bounce to your step. This hiking shoes High Traction Contragrip® outsole with varied, deep lugs helps provide extra traction on wet or dry surfaces so you can keep going in any conditions.